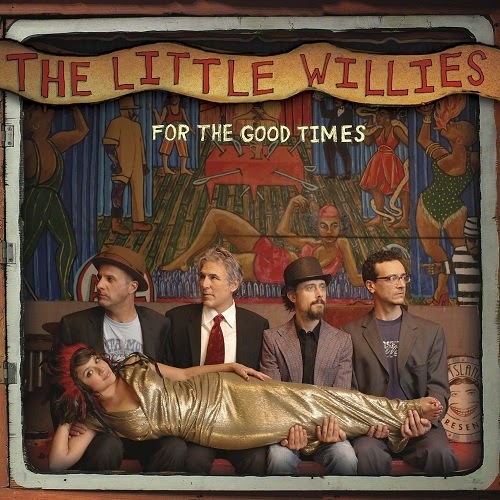 The Little Willies never set out to be a big deal. If anything they’ve aspired to maintain a low profile, perhaps as an antidote to the mainstream attention their most conspicuous member, Norah Jones, tends to attract with her solo releases. They reflected as much on their laid-back 2006 eponymous debut and, in its assortment of covers and well-suited originals, an earnest affinity for classic country music. The group’s latest, For The Good Times (EMI/Milking Bull Records), is even more steeped in country, and it's all the better for it. Traditional honky-tonk along the lines of Lefty Frizzell (“If You’ve Got The Money, I’ve Got The Time”) and Hank Williams (“Lovesick Blues”) complement moments that are at turns sentimental (“Remember Me”) and contentious (“Wide Open Road,” “Fist City”) in respectful, refreshing performances. A seasoned, playful chemistry exists among these musicians—Jones (vocals, piano), along with Jim Campilongo (guitar), Lee Alexander (bass), Richard Julian (guitar, vocals), and Dan Rieser (drums)—invigorating some of these old gems, especially the obscure ones. “Diesel Smoke, Dangerous Curves,” in particular, finds Julian behind the wheel singing lead as Jones accentuates its sensuous subtext, her voice an echo conjuring images not of some perilous highway but rather of far more risky, erogenous terrain.